#1. Annie’s is having a 50% sale on online classes. 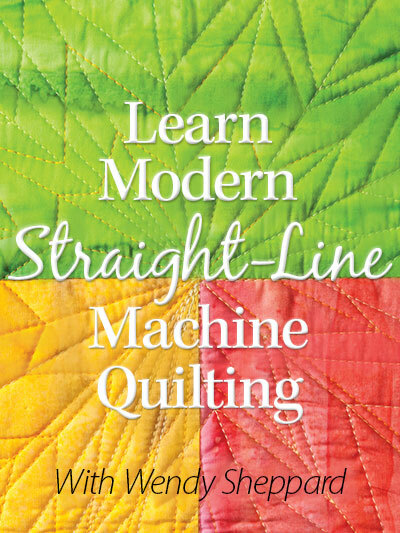 Just thought I would share that with you in case you are thinking about signing up for my “Learn to Machine Quilt” online class. #2. A special note to dear reader Kathy Buicks — my emails to you keep bouncing back!! Do you have a new email address I can use? Hello Friends! It’s wonderful to have you visit again! 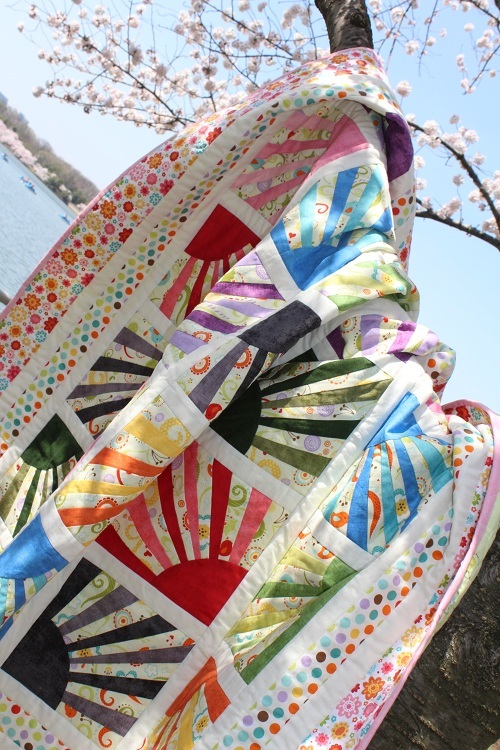 Today I am sharing with you my Sunburst Melody quilt that is featured in Annie’s recently released Sweet Layer Cakes book. I thought a little bit of sunburst is in order since we have been having rain for the last few days, and we are supposed to have rain the rest of the week. This is a happy quilt, to be sure! It was fun making the blocks in different happy colors! I incorporated a few black/gray blocks as contrast to the other happy colored blocks, and as a reflection of how my life is. The presence of the occasional dark moments in my life makes me appreciative of the sweeter and happier moments. More importantly, I know my life is refined by those “sanctioned by God” dark moments mixed in with the happier moments. 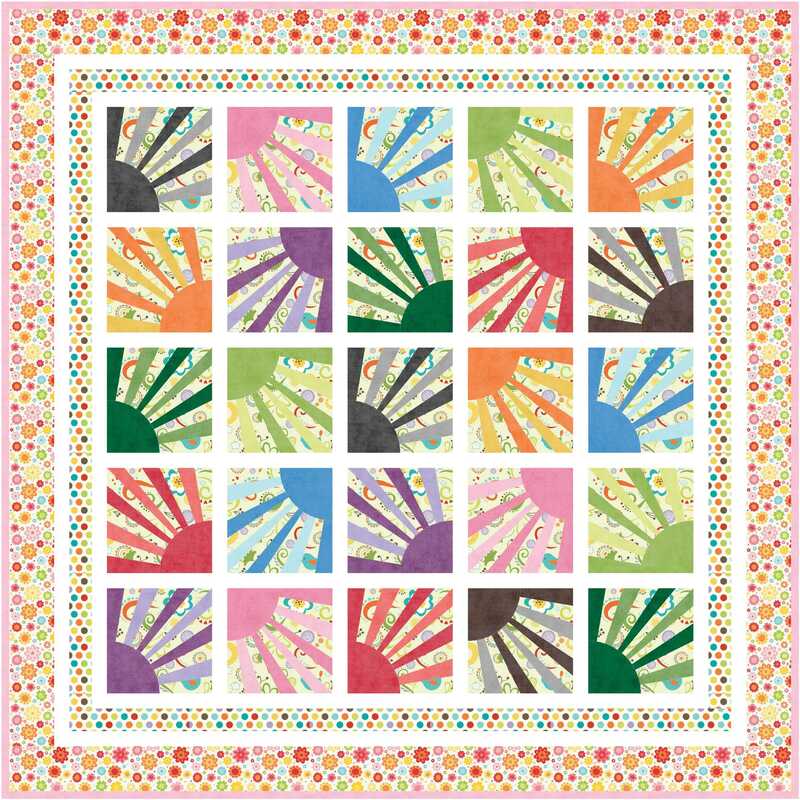 This quilt uses Riley Blake’s Shades 10″ Stackers, and Riley Blake yardages from Good Life, and Hello Sunshine collection. Click on the names to see the full range of fabrics. Incidentally, Riley Blake’s Shades fabrics are some of my favorite solid/mottled fabrics! 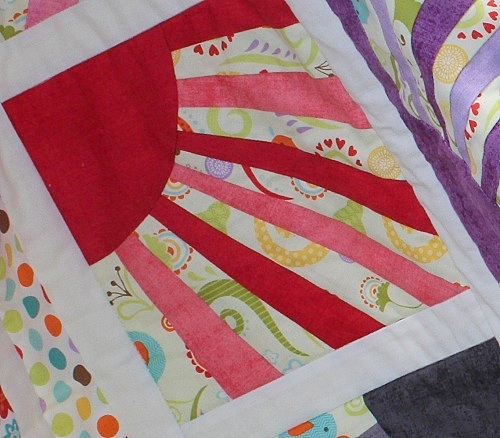 The construction of my sunburst blocks involves paper-piecing (sunburst part) and curve piecing (quarter circle part). I found that with that many seams on the sunburst part, it was easier to curve piece the quarter circles by hand. I seem to have more control that way. Just thought I would throw that in for those who will be attempting the project. This quilted is pieced and quilted entirely using Aurifil‘s Mako 50 Cotton threads. The batting I used is Hobbs Tuscany Silk batting. Quilting was kept to quilting in the ditches because I felt like quilting on the sunbursts would prove to be a little distracting. I just wanted the sunbursts to pop as they are. Thanks for stopping by. 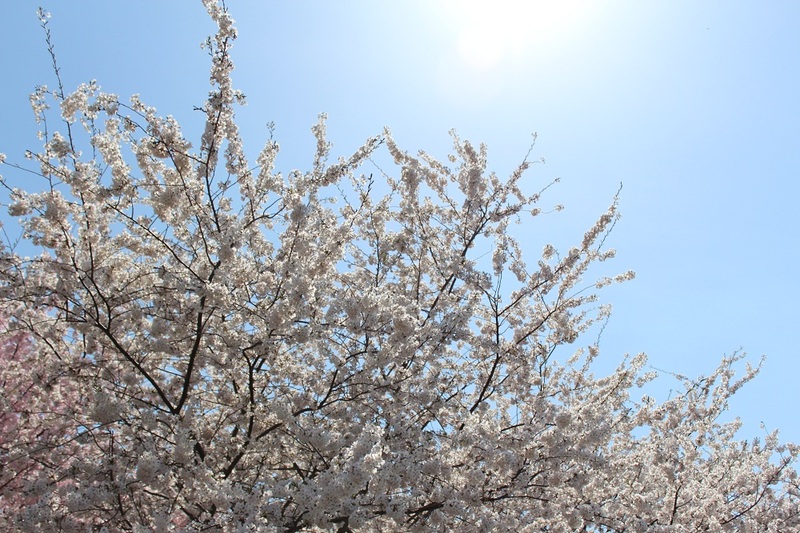 I hope you liked my Sunburst Melody — and here is to sunburst wherever you are! I will catch up with you later! 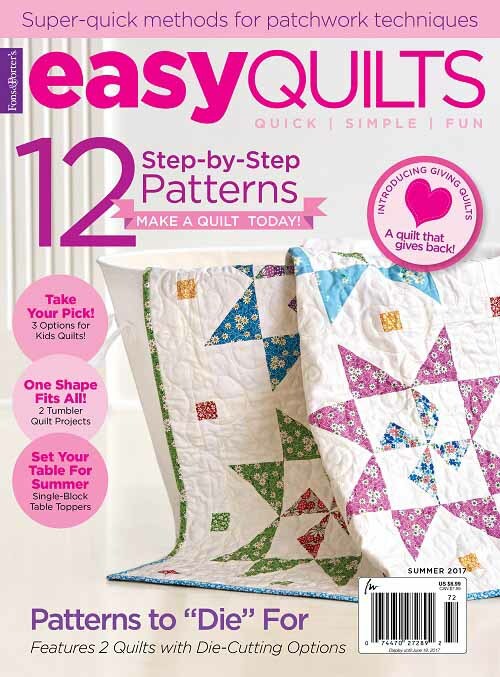 This entry was posted in Quilt Pattern, Quilting, Quilts & Projects: Published, Quilts: Pieced and tagged Annie's Sweet Layer Cakes, Curve Piecing, Paper Piecing, Riley Blake Good Life, Riley Blake Hello Sunshine, Riley Blake Shades, Wendy Sheppard Designs. Bookmark the permalink. It looks great in the sunshine! 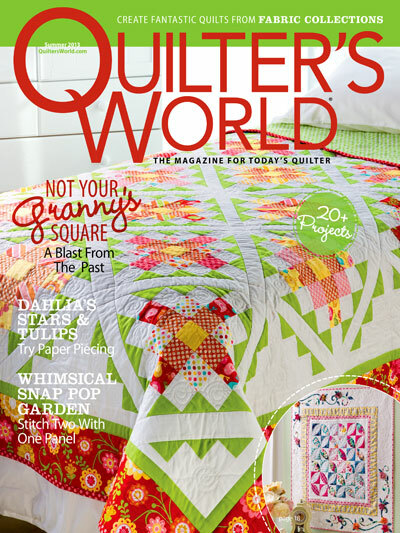 I am always ‘blown away’ by the variety in your quilt ideas!! 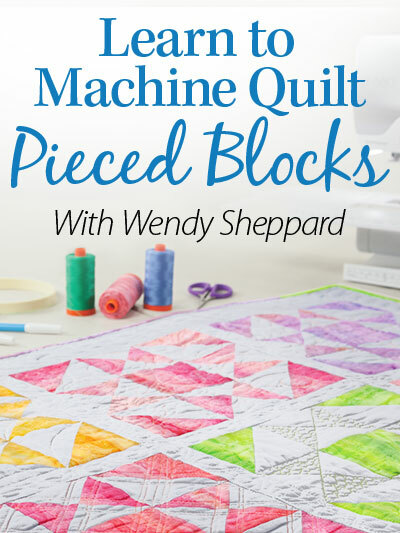 I sometimes think I’m stuck in a rut (of course, I don’t have quite the demands for quilts that you do!!!). My final thought on this one is I really like it and can see so many variations. Our day started out bright and sunny but by noon clouds of sadness descended with the news of the passing of my quilting buddy of 39 yrs. 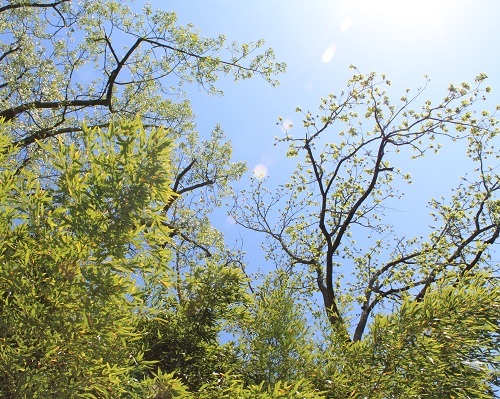 Not expected and still processing………..I know that the Son is still shining above any earthly clouds!……. 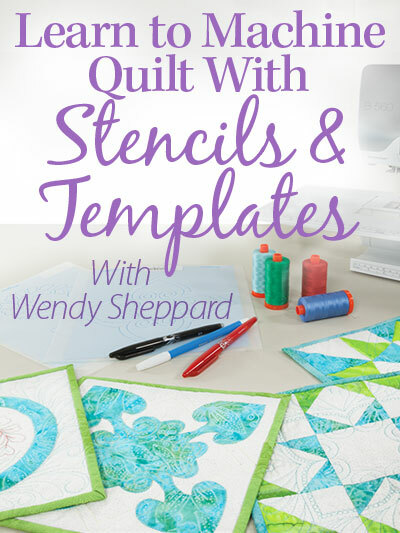 Really pretty quilt Wendy. Nice job! You are a busy woman! 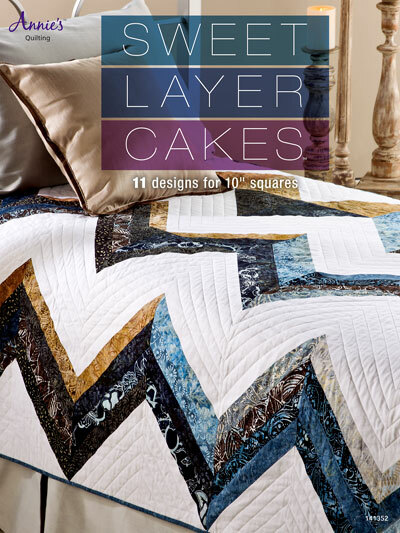 I am hosting a layer cake quiltalong right now. Not so fancy as yours, but fun. It is called Super Stars. I am gradually learning the value of those precuts. 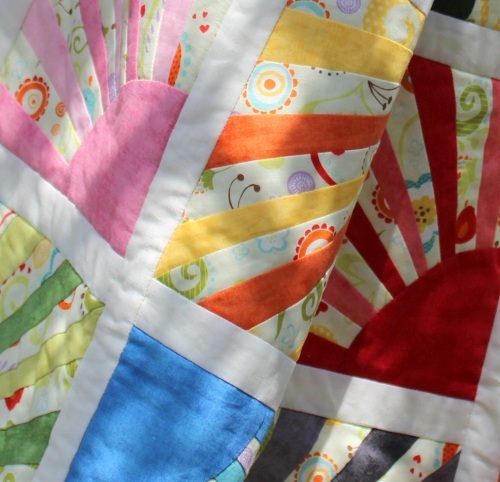 What a cheerful quilt- love the bright colors! Your quilt is so happy and cheerful. Love it! Love this quilt! You hand pieced the quarter circles? This would make a great tutorial for those of us who have not tried this. 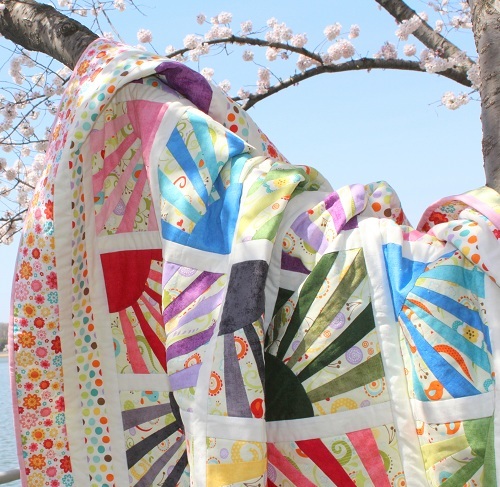 The quilt is as beautiful as the natural glory of the scenery! 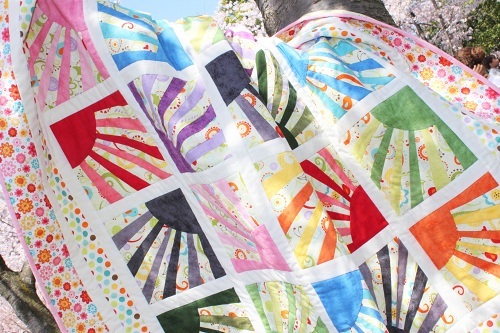 I just love that sunshine quilt totally gorgeous!!!!! I love this quilt. Where can I find the pattern. 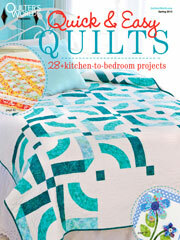 I call these bright colors my happy quilts.